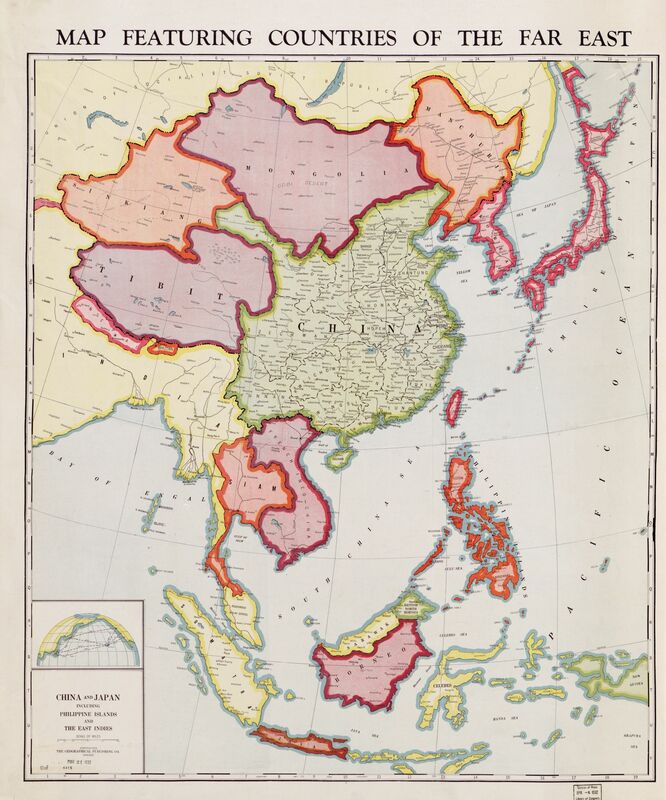 The map above shows East Asia (aka The Far East) in 1932. It’s interesting both because of what is and what is not included. 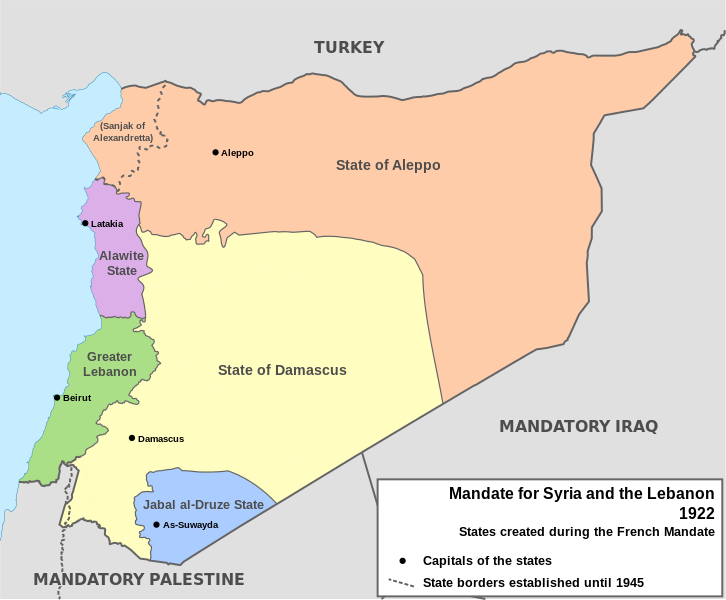 The map above shows the initial 6 states created by the French Mandate for Syria and the Lebanon granted by the League of Nations in 1922. 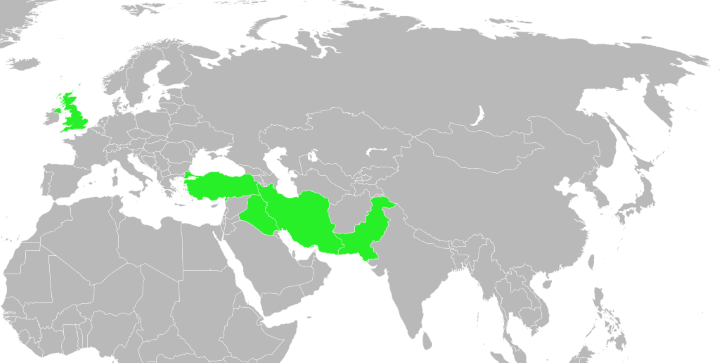 The Central Treaty Organization (CENTO), also known as the Baghdad Pact or the Middle East Treaty Organization (METO), was one of Cold War’s weirdest and ultimately least successful alliances. This was largely the result of the improbable quintet of nations making up the Organization: Iran, Iraq, Pakistan, Turkey, and the United Kingdom. Yet an alliance made up of these unlikely allies is not the only interesting thing to note about CENTO. The map above is one of the most detailed and interesting maps of the Roman Empire you’ll likely find online. 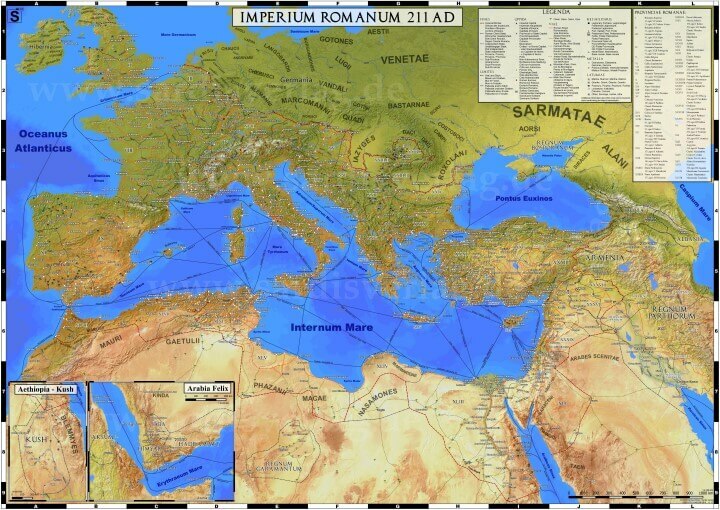 It shows what the Empire looked like in 211 CE (aka 211 AD) at the end of the reign of Septimius Severus. Map created by Suido Nakajima found via reddit. 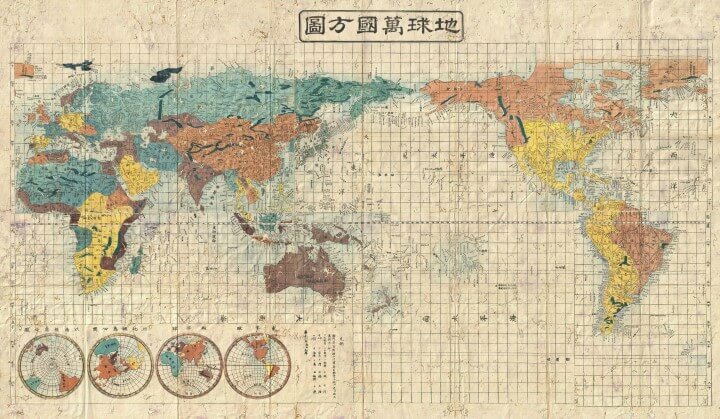 The map above is interesting not because it looks beautiful, which it does, but because of where and when it was published. 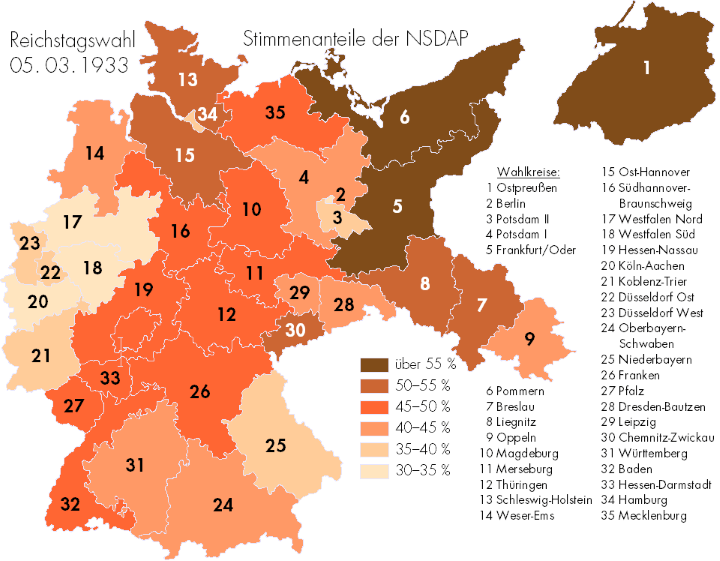 Map by the NEP-HIS Blog, found via Reddit. What a difference 2,000 years makes. 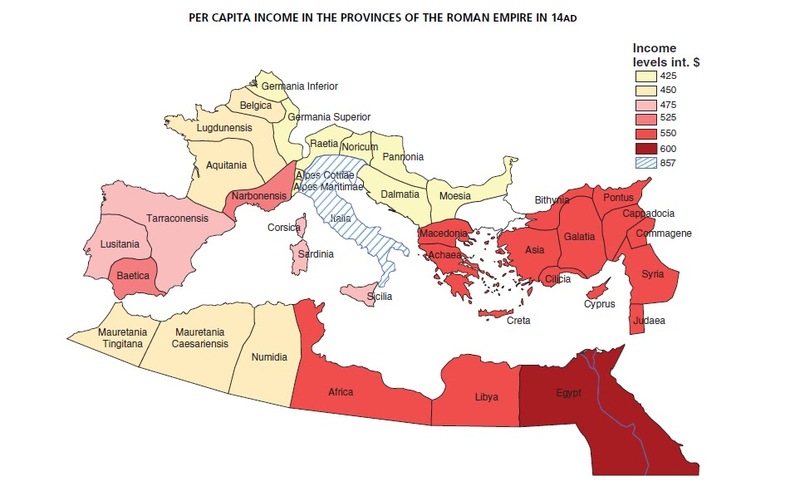 The map above shows the GDP per capita in 14AD of the various provinces of the Roman Empire in 1990 PPP Dollars. On average, the GDP per capita across the whole Empire, was only $570. This would make the average Roman in 14AD poorer than the average citizen of every single one of the world’s countries in 2015. Wondering how that’s possible? Then keep reading to find out. 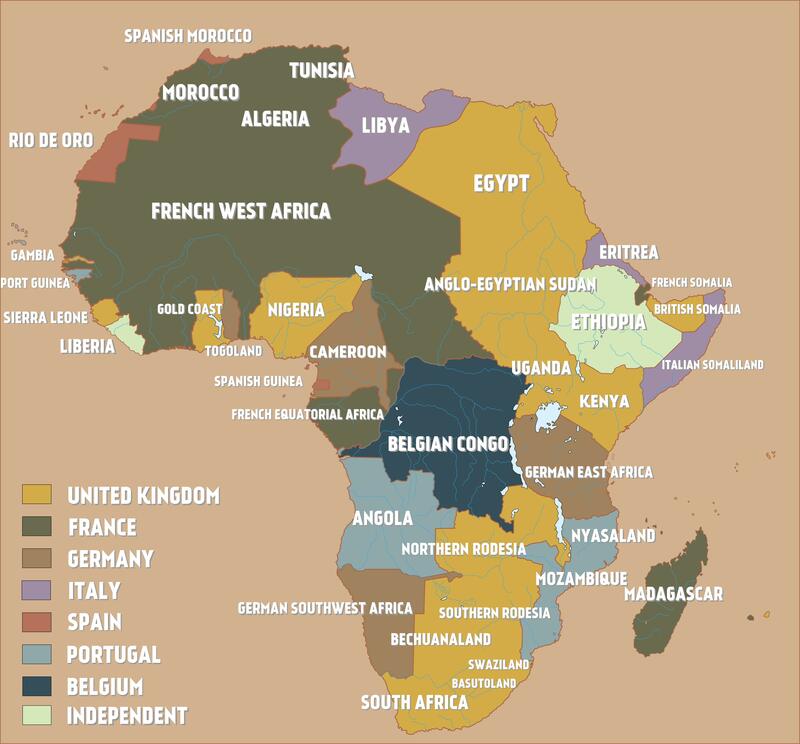 The map above shows how the African continent was divided in 1914 just before the outbreak of World War I. By this time, European powers controlled 90% of the continent with only Abyssinia (Ethiopia) and Liberia retaining independence. What If the Mongol Empire Reunited….? The Mongol Empire was the largest contiguous land based empire in history. So what would a modern Mongol state look like today if it hadn’t disappeared?